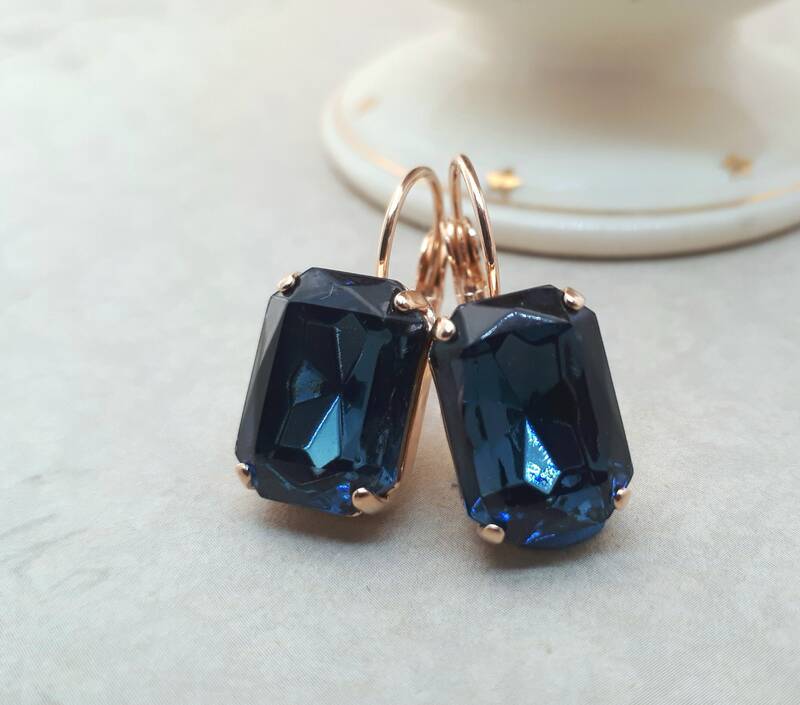 Navy Blue drop earrings set in rose gold settings. 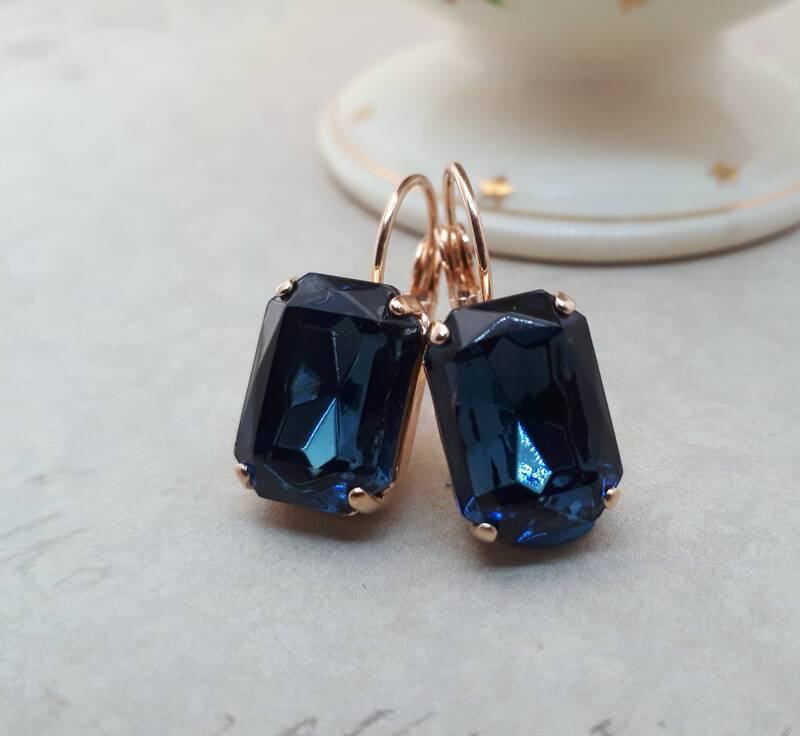 These art deco style earrings feature vintage Swarovski crystals in "Montana Blue." The settings are plated in rose gold and have attached lever backs. Also available in silver plated settings. Earrings will be packaged ready for gift giving. Setting can be lightly buffed with a soft jewelers cloth. Please do not use any harsh chemical to clean. Please note that most items are made with foil backed crystals and plated settings. They are made for casual wear. Not intended for everyday wear and not suitable to wear in the bath, shower, or pool. due to too many lost packages. All orders shipping within Canada will be charged 13% HST. Orders to Europe may be subject to VAT upon receipt. This is charged by your government and is paid to the Post Office when you receive your parcel. The amount varies per country. If you are ordering with less than 3 weeks until your wedding or event please contact me to see if I can rush your order. I am only a one person business, it does take time for me to make and package your order. I do try my best to be quick but sometimes it may take a week or so to process your order. ALL CANADIAN orders include tracking. USA orders with a value of $80usd or more WILL include tracking. A tracking number will be provided on your invoice once your items have shipped. ALL other orders DO NOT include tracking. All INTERNATIONAL orders (other than the ones mentioned above) DO NOT include tracking. © 2019 Della Bella Boutique.